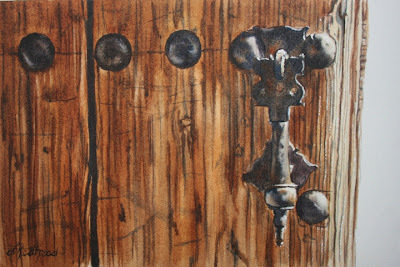 The past 4 weeks I have been teaching a course on Old Doors, Locks, and Latches in watercolor. This beautiful old knocker was what I painted for class this week. It is from one of the doors at El Molino, which is where I teach in Spain. I would love to know the age of this knocker because nothing was symmetrical on it. It must have been crafted by hand. 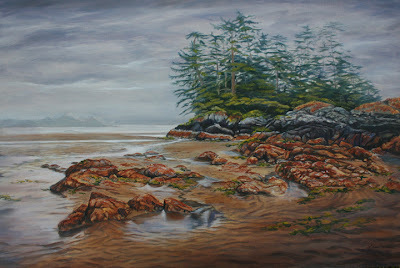 I will be teaching a similar course at Brock House on Jericho Beach starting April 8. 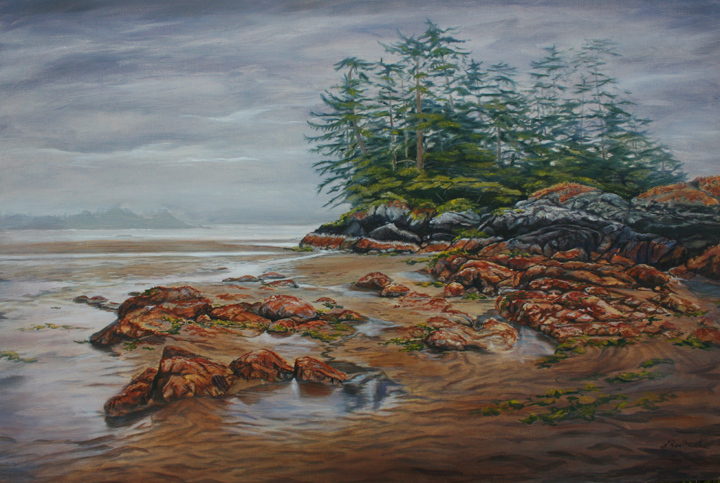 The past 2 days I taught some different watercolor techniques to the North Shore Artist Guild in West Vancouver, BC. 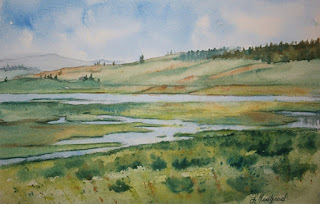 The course was called Fun With Watercolors because it is a fun course. It is one of my favorite things to teach because everyone walks away with their own unique painting. The participants had the choice of painting either morning glories or white poppies. 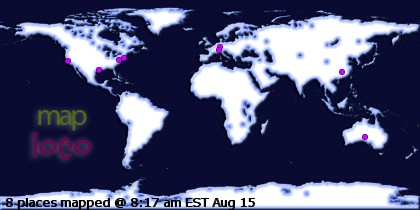 Most of them did choose the morning glories. The purpose of the course is to learn how to do negative painting which is painting the spaces between the flowers and the leaves. Even though morning glories are weeds, the leaves and vines are easy to create, especially for those new to negative painting. 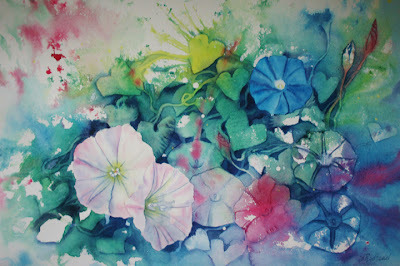 Morning glories also come in so many different colors so it makes them a versatile flower to paint. The studio where the course was held is called Lawson Creek Studios and is in a beautiful location right on the water. It is a studio that the city of West Vancouver maintains and rents out to different art groups. Although we didn't get to complete the painting in the time allotted, I feel like everyone grasped the negative painting concept and am confident that each one will finish their masterpiece in the future. It was great to see that everyone came away smiling. I really enjoyed teaching such a wonderfully talented group of artists. 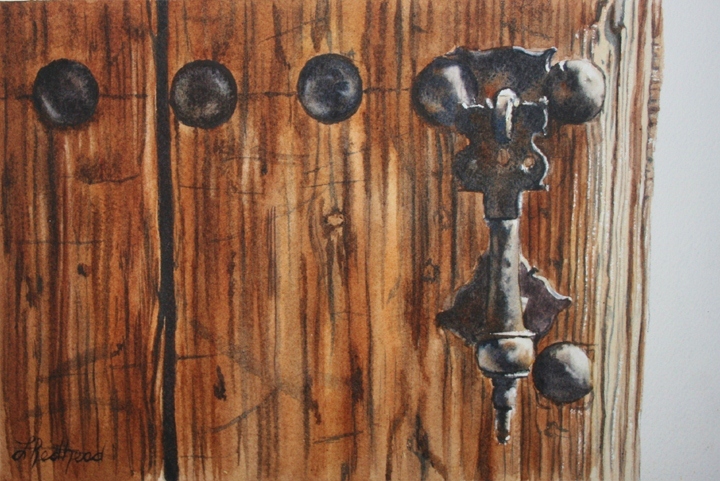 This spring I am teaching several courses on Old Doors, Locks, and Latches. The above painting I did for one such course. 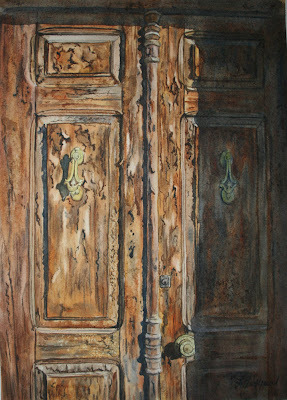 It is a door from Spain. We learned not only how to paint wood but the old, flaking, peeling wood as well. 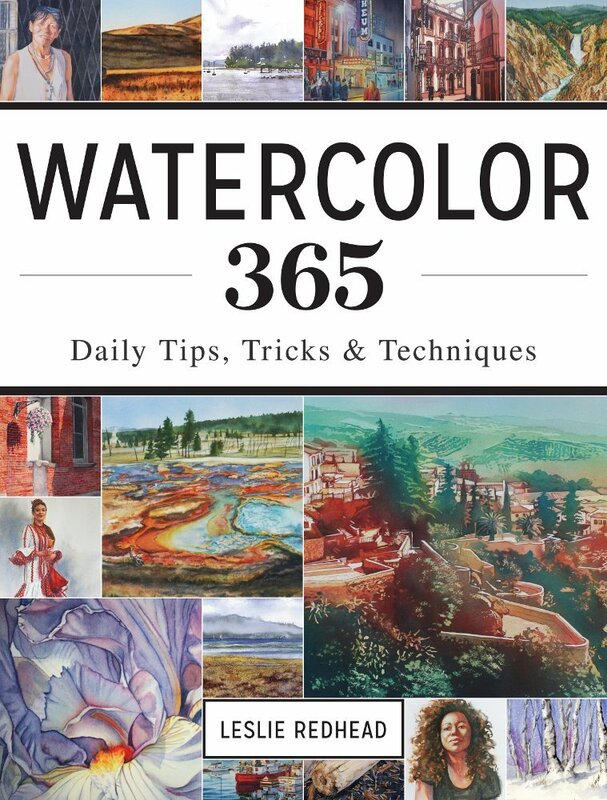 Aquabord is a clay coated hardboard that accepts watercolor quite nicely. It has a beautiful texture that lends itself well to the texture of wood. For more information and to register for the course, please click here. 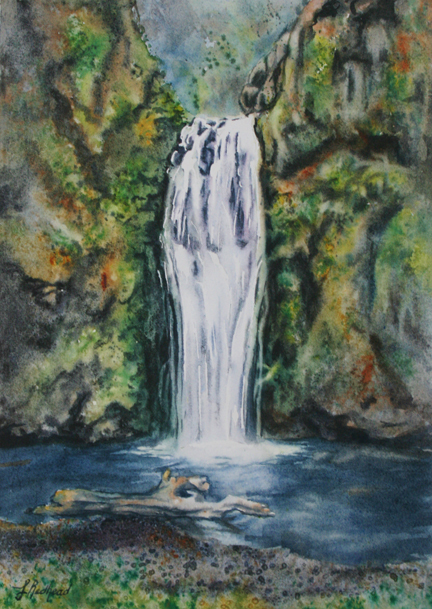 Another waterfall painting. This one of the lower falls of Multnomah Falls on the Oregon side of the Columbia River Gorge. Between the height of the upper and lower falls, it is the tallest waterfall in the state of Oregon. Gibbon Falls is located just off of the Grand Loop Road in Yellowstone National Park. It is an 84 ft drop on the Gibbon River. Since I have been painting Yellowstone as well as water scenes, I decided to demonstrate these falls to one of my classes. 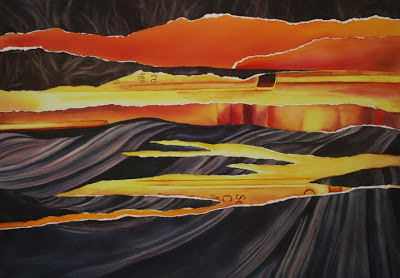 This past weekend I taught a workshop on Painting the Abstract in Watercolor to 18 wonderfully talented artists. Although I have done a few abstracts, this was the first course that I have taught on pure abstraction. I say pure abstraction because I believe that all art is an abstraction. It is a simplification of an idea into shape, form, line, color, tone, etc. So starting in reality, I had my students abstract a scene. 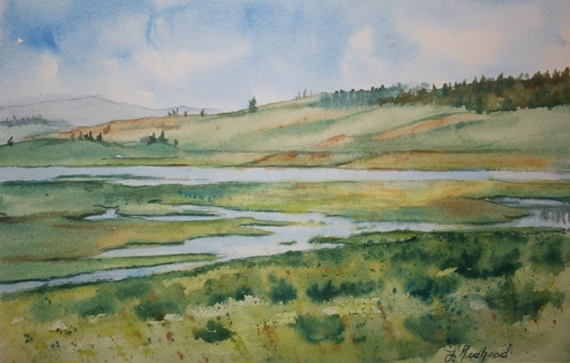 The scene that I chose to abstract is one of Yellowstone National Park. It is a landscape of a more serene part of the park. One in which I have painted before. Taking this scene, I decided to abstract it and simplify it into shapes and add a different color palette. Yellowstone is a caldera with remnants of this fact scattered throughout the area. Geysers, mud pots, and thermal pools testify to the history of this place. This calm, beautiful marsh land is not as calm as it appears. Hence, the name: What Lies Beneath. 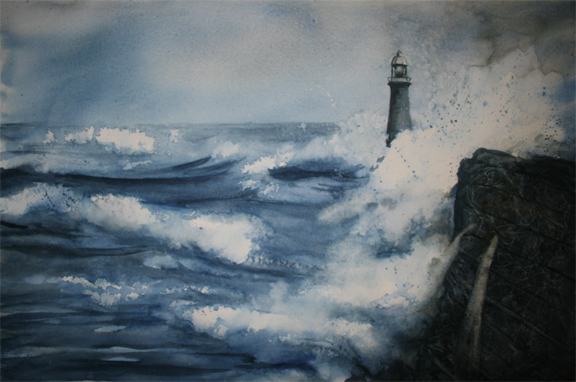 Once again I am having fun painting crashing waves. This time I decided to include a lighthouse. This painting was just for practice as I try to capture those wonderful waves. Every now and again I decide to dabble in oil. It is a nice break from watercolor but sometimes I just don't have the patience for it. Plus I will dabble a little too much with a piece trying to get it just right. 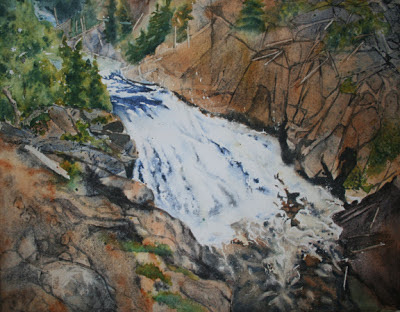 With watercolor, you have to be done at a certain point or you ruin the painting or the paper. Fortunately, Frank's Island sold to a wonderful person while it was still on the easel and before I had a chance to fiddle around with it for months on end. I am happy to know it will be going to a good home.